Along with Huawei P30, Huawei also announced its flagship phone Huawei P30 Pro at an event in Paris. This is the best phone of Huawei P series ever and comes with exciting specs. 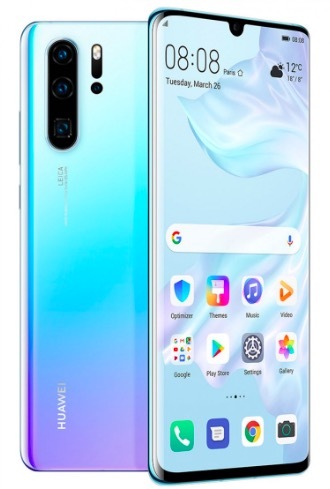 Huawei P30 Pro features a 6.47-inch OLED display with 2340×1080 pixels resolution. It also has dewdrop notch. The phone runs on EMUI 9.1 based on Android 9 Pie. It packs Octa-core Huawei Kirin 980 processor along with Neural-network Processing Unit. It comes 4 different RAM/Storage models including 6GB/128GB. 8GB/128GB, 8GB/256GB and 8GB/512GB storage options. The phone has a metal frame and glass back. It comes in several attractive gradient colors. It is also IP68 rated for being dust and water resistant. The phone has quad-camera setup that has 40 megapixels (Wide Angle Lens, f/1.6 aperture, OIS) + 20 megapixels (Ultra Wide Angle Lens, f/2.2 aperture) + 8 megapixels (Telephoto, f/3.4 aperture, OIS) along with Time-of-Flight(TOF) Camera. The phone offers 10x Hybrid zoom and you can push this to 50x with digital zoom. It also has 32 megapixels front camera with f/2.0 aperture. The phone also scores 112 at DxoMark to be the best camera phone in DxoMark’s best camera phone list. Connectivity options of the phone include Dual 4G VoLTE, WiFi 802.11 a/b/g/n/ac, Bluetooth 5.0, USB Type-C. It also has in-display Fingerprint Sensor. It packs 4,200mAh battery and supports 40W Super Charge. It also supports 15W fast wireless charging and reverse wireless charging. So, you can also wirelessly charge other devices using Huawei P30 Pro. It will be available starting 999 Euros.